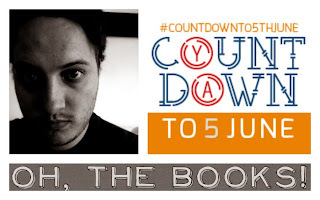 Okay, week 1 of #Countdownto5thJune has come to an end - and what a fantastic week it was! If you've missed it, here's where you can catch up on our first seven brilliant posts. I interviewed Keris Stainton over at The Bookbag. I was thrilled to get The Bookbag on board as they gave me my start book reviewing nearly 5 years ago, and Keris is a favourite author of mine, who I've interviewed before in a couple of joint interviews, but never by herself. I loved finally getting the opportunity to do so, and finding out about her thoughts on age banding, UKYA and Twitter, amongst other things. I was one of the first bloggers to read Keris's upcoming Starring Kitty, first in the Reel Friends series, for Catnip, and still haven't calmed down enough to write a halfway sensible review. However it's amazing and I've pre-ordered already! On Saturday, Jo from Once Upon A Bookcase interviewed debut author Sarah Sky. 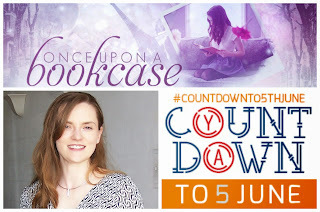 Sarah's Code Red Lipstick, coming from Scholastic, looks brilliant, and it was great to read this interview, in which we found out how Sarah got her idea from CRL and just how much research she did - including the highlights from last year's Counter Terror Expo! Having spent six months or so trying to meet Jo in real life, it was rather appropriate - and really great - that I finally met her on Saturday, as well. Thanks to Jennifer Bell, author of the utterly-wonderful looking Ivy Sparrow series coming next year from Random House, for the intro. Sunday saw an author writing her first children's book feature. Bea Davenport, who's also the author of last year's crime novel In Too Deep, has The Serpent House coming out with Curious Fox. It's an intriguing sounding time travel book, and reading about how Bea came to create it was fascinating. (Although, snakes - eek!) 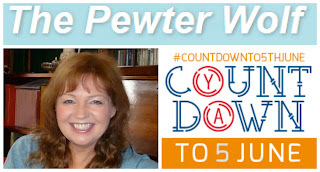 Many thanks to Andrew from The Pewter Wolf for hosting this post! 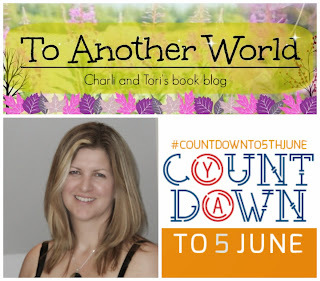 On Monday, bloggers Charli and Tori over at To Another World interviewed Helen Douglas, who has Chasing Stars coming out with Bloomsbury. Charli and Tori are both big fans of Helen and it was very clear in their questions, which were fantastic! I loved the desert island one, especially. Of course, Helen's answers were just as awesome. Tuesday saw an especially exciting post for me. I've been a fan of Theresa Breslin's for nearly 20 years, since I first read her amazing Whispers In The Graveyard. 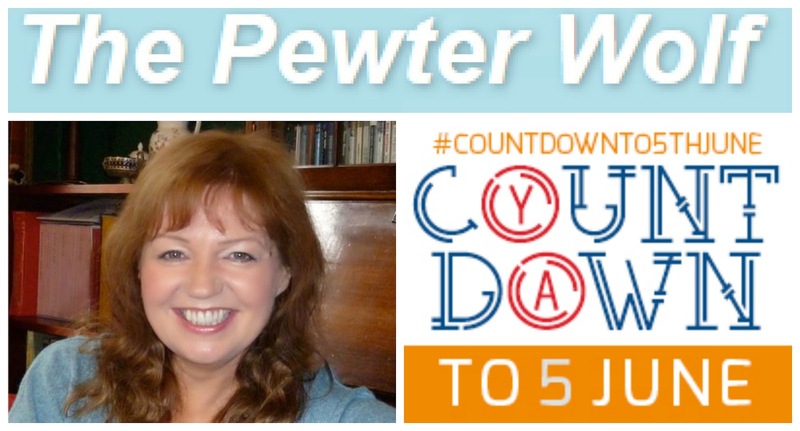 To have her join in Countdown was really brilliant, and I was in awe of the superb questions Cometbabe asked her. I found it particularly interesting to read questions about her writing - her routine, her support network, and the fab tips she gave for other writers. 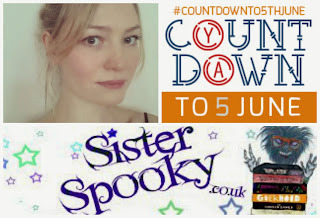 Theresa is one of the many wonderful authors who've written for Andersen's short story collection War Girls - check back later in the tour for Matt Whyman at Kirstyes (this Sunday) and Sally Nicholls finishing the tour off at Pretty Books on Wednesday 4th June. 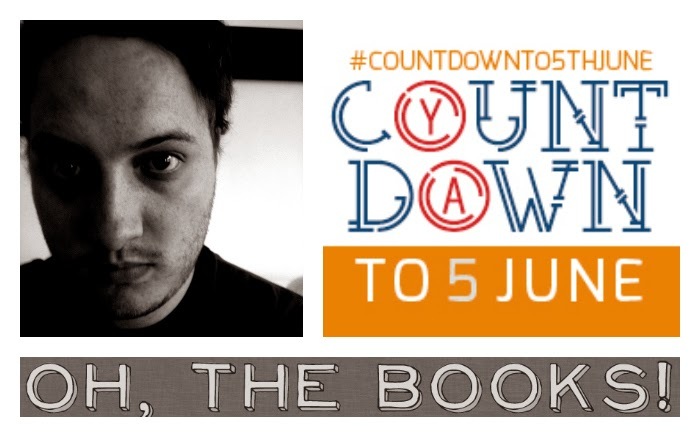 Wednesday's post was an unexpected bonus in many ways - I had the schedule worked out when Will Hill, author of Department 19, got in touch to tell me his release date had been changed. When he asked if I had space, I immediately said "Yes" - and I'd have somehow MADE space if I didn't! Zero Hour, book 4 in the Harper Collins series, is one of my most-anticipated reads of the year. 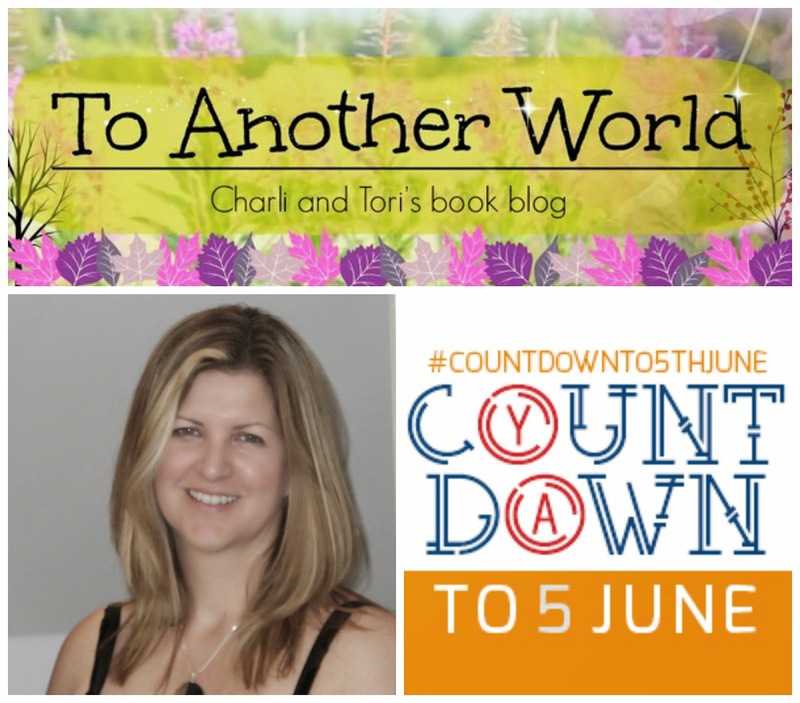 I was so pleased that he came on board for the tour, especially as it meant I could get Oh, The Books - a relatively recently formed collaborative blog run by my fellow book club member Asti along with Kelley and Leanne. All three had fab individual blogs prior to combining for OTB, which is awesome. Will's fabulous guest post talked about characters developing a life of their own, and focused quite strongly on my personal favourite of his characters, Larissa Kinley. Wow! What an amazing week that was. Did you read all the posts? Leave us a comment and let us know what your favourite was! And what are you most looking forward to next week, or later on in the tour? Check out the schedule here if you're not sure what we've got coming up. One last massive "THANK YOU!" 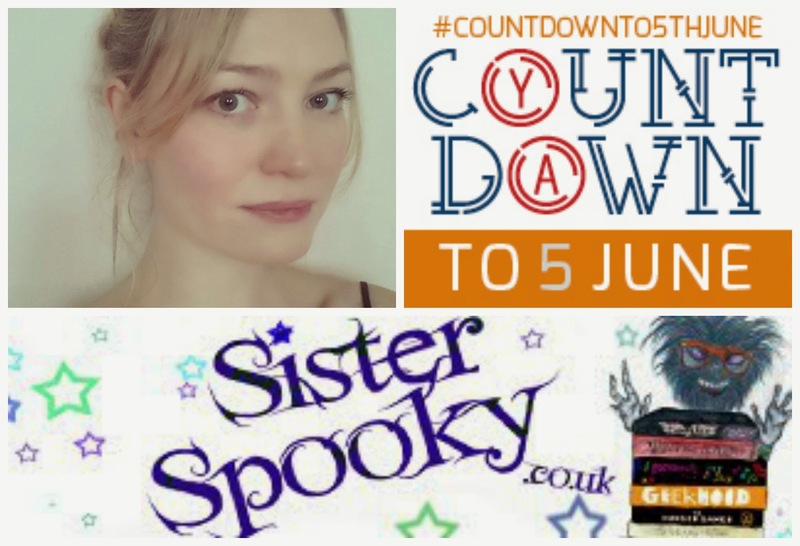 to everyone taking part, particularly Daphne from Winged Reviews for the graphics design and tweeting - it's her amazing button that's featured in all the above pictures.